Quarter strawberries and pick mint leaves. Cut chilled watermelon into pieces. 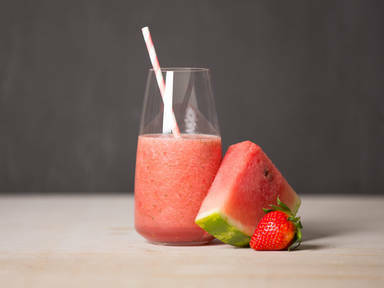 Add strawberry, watermelon, lime juice, ice cubes, and mint leaves to blender. Blend until smooth for approx. 2 – 3 min. Enjoy while cold.